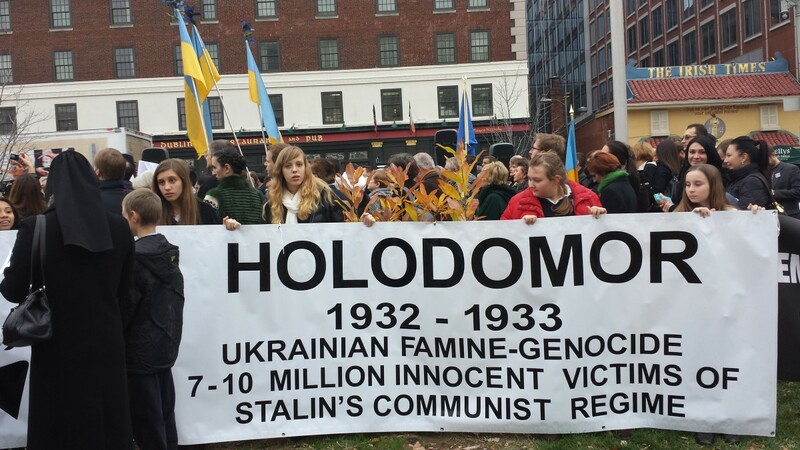 The Ukrainian people are a centuries-old people. In 1991, they declared independence from the former Soviet Union. The ancient coinage, the hryvnia returned to circulation in 1992. This symbol is becoming more widely used. In 2014, it began to appear on menus and in some advertisements. Previously, the three letters UAH in English or грн in Ukrainian was used. When I wrote this article in 2012, my wife had never seen the ₴ symbol. So, there may remain some people unfamiliar with the symbol. In 2018, almost everyone knows this symbol to mean hryvnia. Money exchangers use it and it can be found on menus in many restaurants in Kiev. The nation of Ukraine began more than a thousand years ago. Goths and others migrated to the plains north of the Black Sea and west of the Caucuses. The main population center, a busy trading hub, flanked the Dnieper River. Before the 11th century, Ukrainians had two currency systems. In the north, furs were traded. The largest denomination was the bear skin. The smallest, the ‘veshka’, was a squirrel pelt. In the 11th century, a new coin currency based primarily on silver, but also on gold for higher values, began. The coinage was called ‘grivna’, a word which means bracelet, necklace and similar items in languages of the surrounding regions. Kyiv was sacked and razed several times. Ukraine fell to surrounding nations. Ukrainian people and Ukrainian culture, however, survived. Just as the people reformed Ukraine in 1917, and again in 1992, the name of her currency also returned. 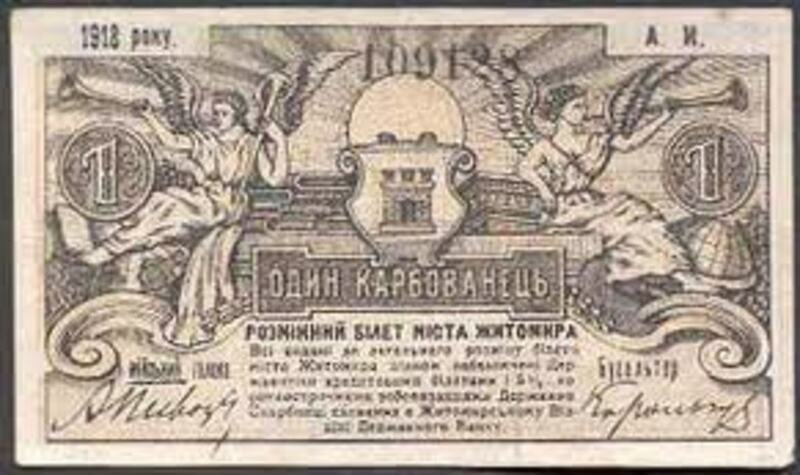 As the Russians occupied Ukraine following World War II, Ukraine used the Russian ruble and its coinage, kopeki. After the Ukrainian Verkhovna Rada declared independence on August 24, 1991, the move to introduce a national currency began. Before independence, a search for new currency started. Ukraine found allies in organized expats in Canada. Friends of Rukh (called Canadian Association for the Development of Ukraine after 1994), a group of Ukrainian independence supporters living in Ontario, provided the groundwork and connections to bring the new national currency to life. 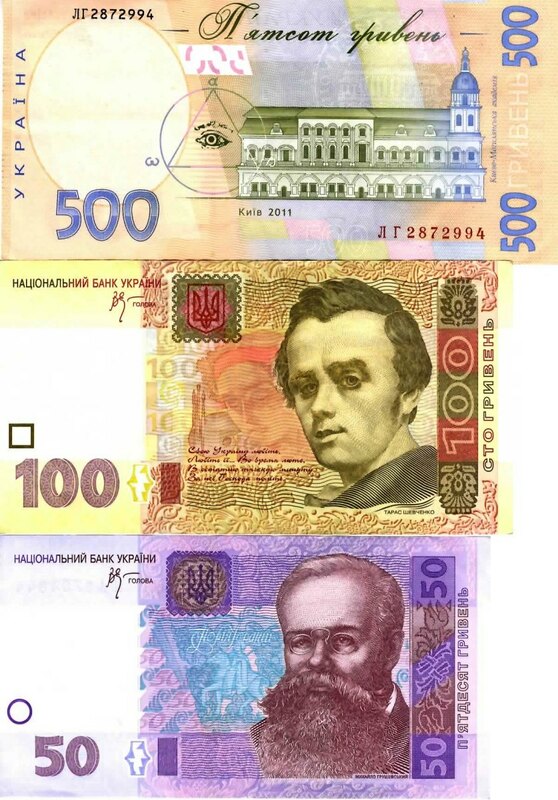 After independence, Boris Novakewski, VP of CFR put things into motion to print new Ukrainian money. Canada ceased printing Canadian dollars for a full six months to fill the Ukrainian order for 2 billion new notes in currency. Later, Canadian presses printed passports and postage stamps for the newly freed people of Kievan Rus. 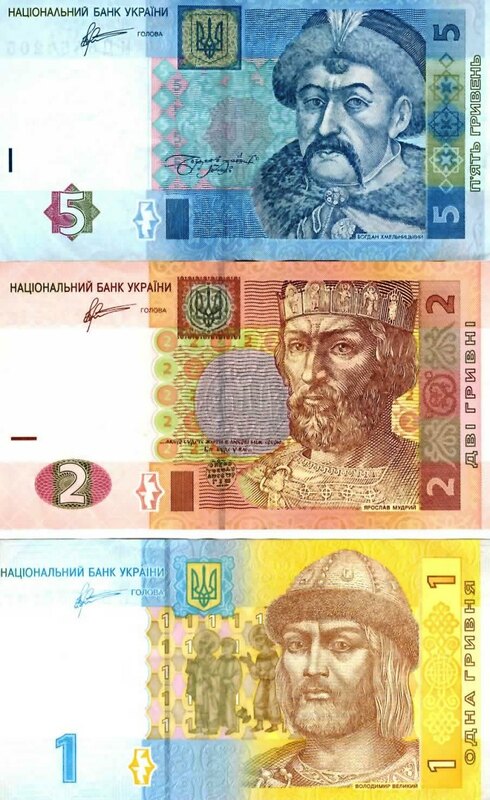 The Verkhovna Rada named the new currency after the historical currency of the 11th century: hryvnia (pronounced grivneeya). 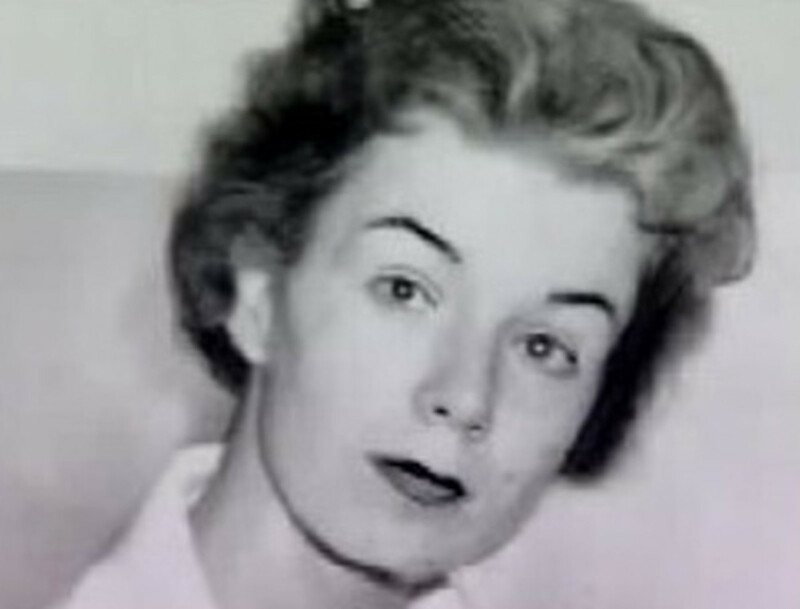 The official short term is UAH. UA is the country code for Ukraine, and the H is for hryvnia. The symbol, which is yet rarely used, is a backward “s” with two horizontal bars running through it, similar to the Euro, the Yen, and the Pound Sterling. 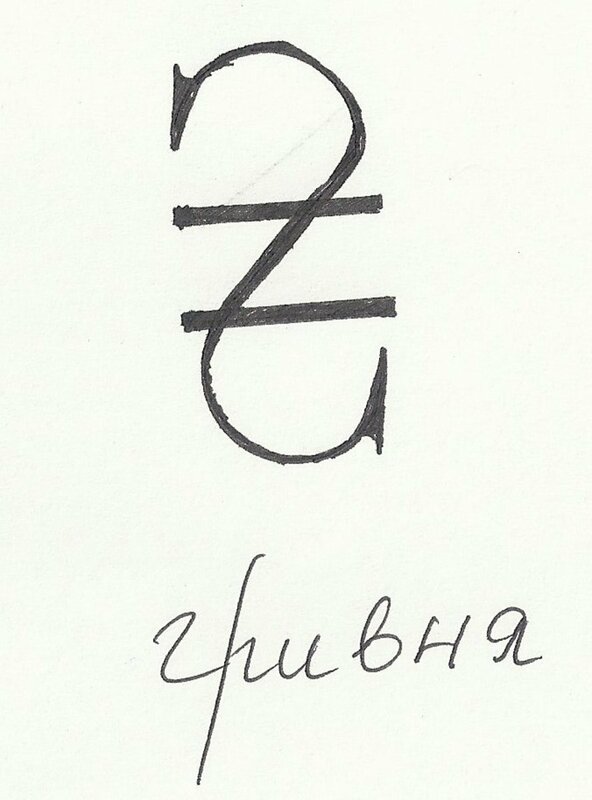 The symbol is unknown to most Ukrainians, who use the letters UAH to denominate numerical currency terms. 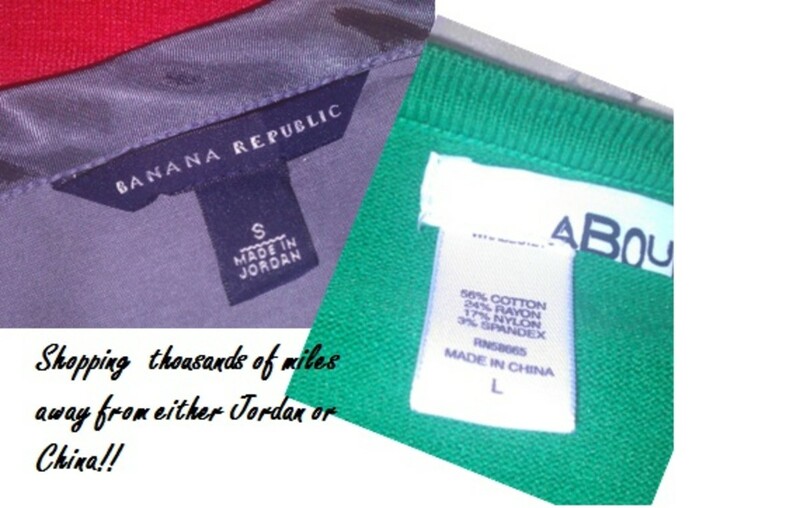 For example, the price of a stylish T-shirt on Kreschatik Street typically costs 240.00 UAH. Later, the Italian mint and the Lugansk, Ukraine cartridge factory minted coins. Ukraine, independent since 1991, has used the hryvnia (UAH) since 1992. September 2, 1992 marked the official first day of the new currency (UAzone.net). For the next two weeks, until September 16th, Ukrainians exchanged an interim currency, the Karbovanets (called coupons) for new Ukrainian Hryvnia. The government set the value of hryvnia at UAH 1.8 to USD 1.00. By the 15th, the exchange rate was 1.78 UAH/1.00 USD. On July 10th, 1998, the hryvnia had depreciated slightly to 2.05 UAH/1.00 USD. In 1998, the hryvnia plummeted in response to the Asian financial crisis which began with the hyper-devaluation of the Thai baht. By February, 2000, the hryvnia was fixed at UAH 5.05/USD 1.00. In March, 2005, the government considered going to a managed float. Ukraine holds 9.5 billion in dollar reserves. This debate preceded the April, 2005 move by 36 countries, including the United States, to allow their currencies to independently float according to market forces. The Verkhovna Rada and the National Bank of Ukraine (NBU) considered exchanging 25% of their dollar reserves for Euros. In this way, Ukraine would have a basket peg, rather than a dedicated peg. However, this would have been a mistake as the hryvnia continued to appreciate against the pound (emergingmarketsmonitor.com, 2010). No move was made to moderate fluctuation by using a basket peg. On September 23rd, the exchange rate was UAH 4.85/USD 1.00. In October, 2008, the UAH devalued 38.4% and by December of the same year, hryvnia traded at 7.88 UAH to 1.00 USD. After a further period of instability, the Verkhovna Rada and the NBU established a fixed peg to the dollar at 8.00 UAH/1.00 USD. On January 15, 2012, the rate was 8.04679UAH/1.00 USD (exchangerates.org.uk). Today, there is a movement to remove the peg to the U.S. dollar (Bloomberg, 2011). Some Ukrainian politicians, including Economy Minister Serhiy Teryokhin, see the link to the dollar as the vehicle by which American inflation is imported into Ukraine. Just before Yanukovych fled from anti-corruption patriots, he did two things to destabilize Ukraine. First, he changed the law on the official state language. After Ukrainian independence in 1992, the government passed a law making Ukrainian the official state language. Only Ukrainian. Yanukovych appended the law to make both Russian and Ukrainian official languages. Second, Viktor Yanukovych unpegged the hryvnia from the US dollar. It is now a free float currency. A few months later, the exchange rate was about 11.8 UAH per dollar. That is about a 73% shift, the largest currency devaluation since Argentina. On February 5th, the official rate jumped from its fluctuations near 16:1 to over 18:1. To see the current rate of the National Bank of Ukraine, click blue text. However, be aware that individual banks buy and sell at higher rates. On January 15th, the official rate was 15.77. But, PrivatBank was buying at 19 and selling at 20. Privatbank is the largest commercial bank in Ukraine. In August, 2018, the exchange rate is 27.3 uah to 1 USD. It has been as been more than 30:1. The Ukrainian stock exchange (UKRSE) was created just days before the official release of the new hryvnia currency, on October 29, 1991. It remains a fledgling market. In September, 2011, $111 million (884.7 million UAH) traded in 12 days of trading (ukrse.kiev.ua). Ukrainian stock markets have struggled to get organized and to become trustworthy. In late 2012, the Ukrainian Association of Banks formed. One of their early goals is to fix the stock market system. Chicago Mercantile Exchange: Ukrainian sunflower, barley, and corn will trade on the CME starting sometime in 2013. This will greatly benefit farmers. This will remove selling price surprises, which buyers used against farmers in previous years. Eun, C.S., & Resnick, B.G. (2009). International Financial Management. New York: McGraw-Hill. A prediction the dollar will strengthen against the Hryvnia, reaching $1 to 8.70 UAH, but correcting almost 60% down to 8.40 by end of 2014. Observations from an entrepreneur, with an International Business degree, living in Kiev.